Replies: 0 (Who? ), Viewed: 594 times. What this tutorial will do: Show how to make an accessory semi-transparent using GIMP and CAS Tools. For this tutorial I'm going to use a clone of the EA yfAcc_WristLeftBraceletPlastic. 1. First, create the clone - open CAS Tools, set the species, gender, age, and type filters and click the 'Clone Game CAS Parts' radio button. When the list appears, select 'yfAcc_WristLeftBraceletPlastic', select whichever swatches you want to include, change the item name at the bottom to describe your custom content, and click the Clone! button. 2. 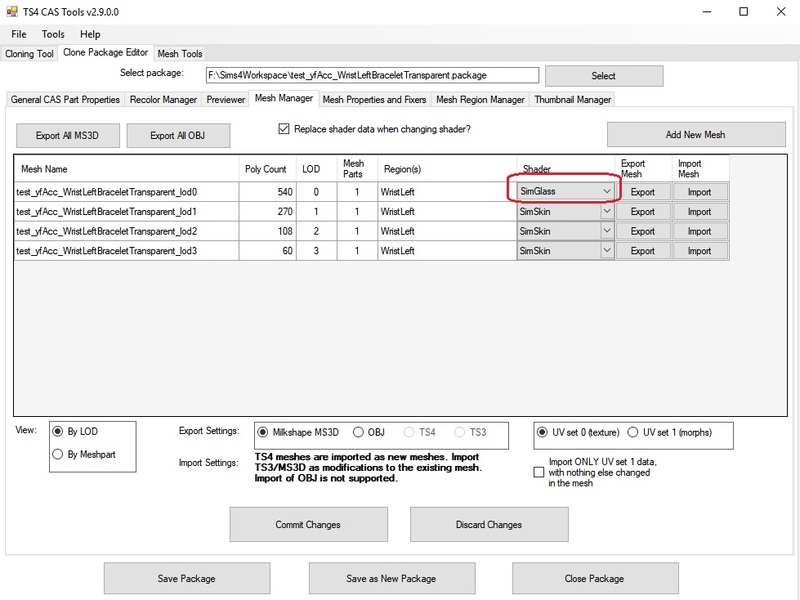 Go to the Clone Package Editor tab and open the package you just created. 3. 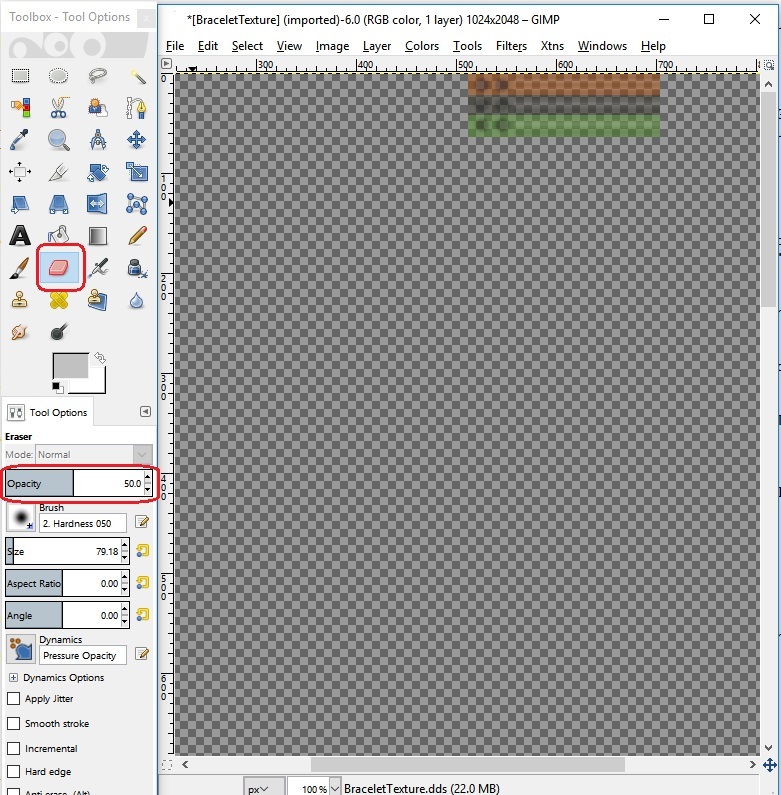 In the Recolor Manager tab select a recolor, click the texture and export it. 4. Open up the texture in GIMP. 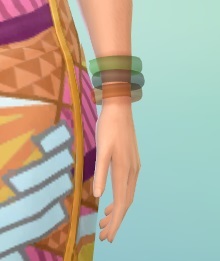 All we need to do here is make the bracelet texture semi-transparent. The amount of transparency will control how see-through the item is in the game. You don't want it completely transparent or it'll be invisible. Use the eraser tool with the Opacity setting at whatever you like - I'll use 50%. Just use the eraser on the bracelet texture so the transparency checkerboard appears with the texture still visible under it. Save as DDS, DXT5 compression, Generate MipMaps. 5. Import the modified texture into your cloned package. Using CAS Tools / Clone Package Editor tab / Recolor Manager tab, click the texture again and import your DDS image. Click Commit Changes. 6. Repeat steps 3 through 5 for all the recolors. 7. 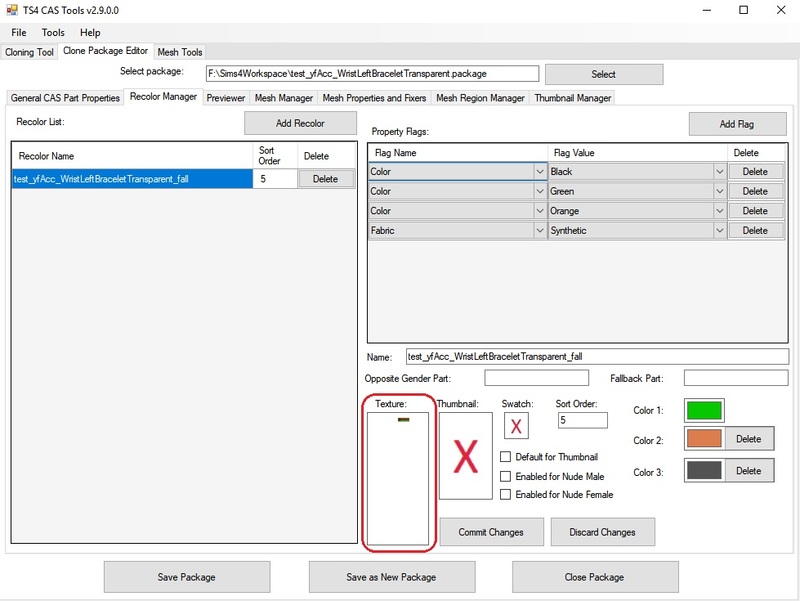 Now go to the Mesh Manager tab in CAS Tools / Clone Package Editor. 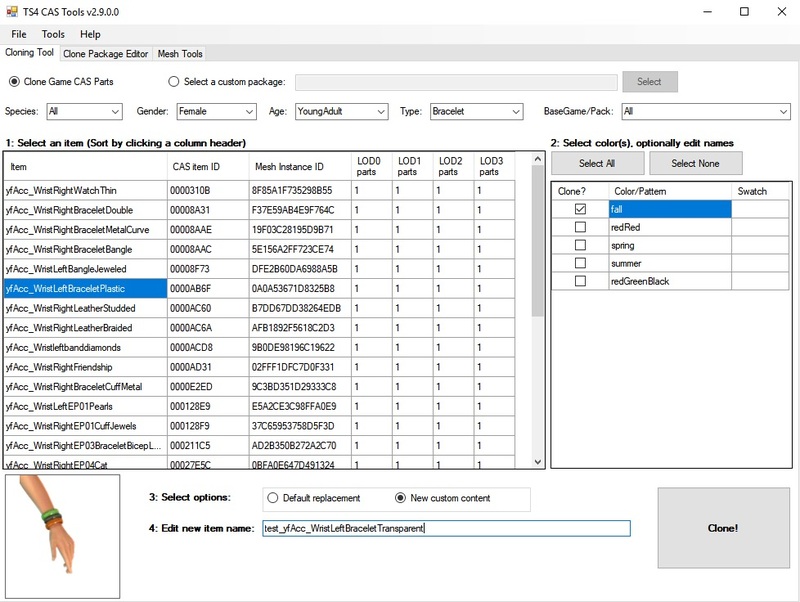 In the Shader column, click the dropdown and change SimSkin to SimGlass for all 4 lods. Click Commit Changes. If all has gone well, the bracelet will be see-through in the Previewer. Save the package. Using the SimGlass shader seems to make specular shine not work. I suspect things like glow won't work either. - Only make the part of the texture that's mapped to the transparency part semi-transparent. - In CAS Tools Mesh Manager tab, find the View selection in the lower left and select 'By Meshpart'. Each mesh part will be listed separately and you can change only the part you want to SimGlass.